Follow us on Twitter & Like us on Facebook to watch all the important games LIVE online. 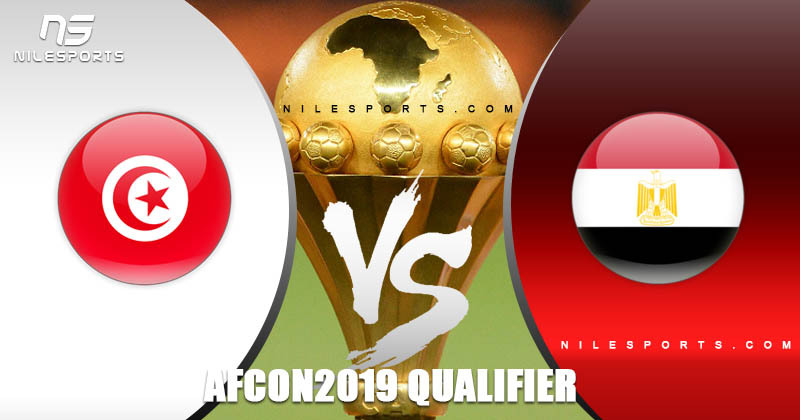 Egypt start the AFCON 2019 qualifiers campaign against North African neighbors Tunisia tonight in Rades . Egypt coach Hector Cuper has shown confidence ahead of the match against Tunisia. “We are going to Tunisia to win. I trust my players’ enthusiasm and determination. We know that preparing players will not be easy because the season ended for European-based players,” Cuper told a press conference on Sunday amid the start of the preparatory camp for the game. “We want to use the experience the players won from the last edition of the Africa Cup of Nations,” he added. Led by recently hired Nabil Maaloul? Tunisia will be aiming to put their dismal 2017 Africa Cup of Nations performances behind them? and avenge their 1-0 friendly loss to the Pharaohs in early January. The squad, that mainly included Europe-based players, has dropped Sunderland midfielder Wahbi Khazri who is getting married. Striker Ahmed Akaichi has also missed the squad due to technical reasons. Egypt’s Ahly left winger Ali Maloul has been called-up for the game. Tunisia have been drawn in Group J alongside Egypt, Niger and Swaziland. The group champions will make it to the tournament stage in Cameroon in January 2019, along with the three best teams from among those taking second place in the group stage. Strikers: Fakhreddine Ben Youssef, Hamdi Harbaoui, Taha Yassine Khénissi, Karim Laâribi, Naim Sliti, Ismail Sassi.